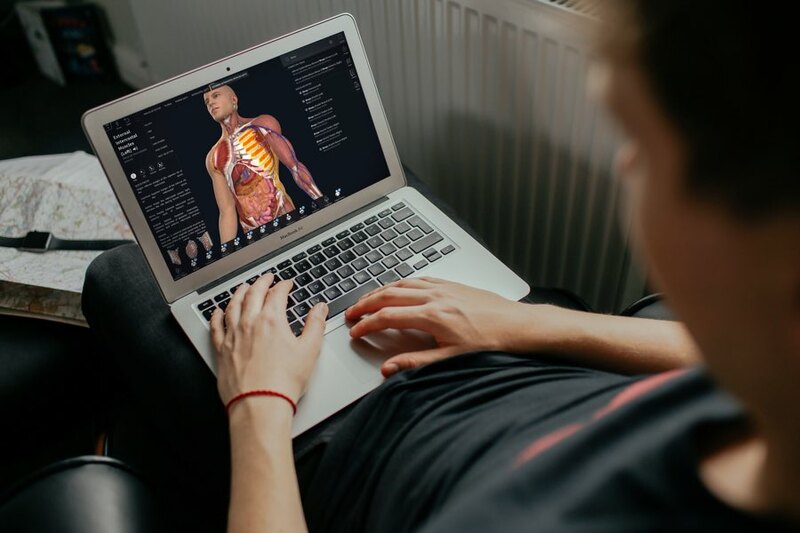 3D4Medical, the global leader in the development of ground-breaking 3D technology that disrupts traditional methods of education, has launched its flagship product, Complete Anatomy, as a Publishing Platform for education. The Complete Anatomy platform has over 1 million registered users. Subscribers to the platform will soon see courses ranging from Anatomy & Physiology to Surgical Training in a variety of languages that can be used as resources by faculty in creating custom curriculum solutions for students, and also used by students as standalone courses as part of their subscription. “Our university is currently moving toward more online and blended classroom courses. Online content and resources are also in high demand from our students. Being able to author my own content in Complete Anatomy is an important way for me to update my courses and respond to the increasing demand for online content. Complete Anatomy is a visually stunning, interactive resource that allows me the flexibility of customizing course content that is directly applicable to our clinical program” added Dr. Cara Sandholdt, University of California, Davis School of Medicine. 3D4Medical is transforming medical learning and practice around the world and is leading the way in the development of ground-breaking 3D medical technology. This technology disrupts traditional methods of education by providing revolutionary applications that allow the educator, student, professional and patient to explore and experience medical education like never before, putting high-quality accessible 3D anatomical information at their fingertips. With the receipt of a prestigious Apple Design Award in 2016, over 15 million downloads worldwide and the #1 top-download positions in the App Store in 148 countries, 3D4Medical has enjoyed great success to date as it continues in its pursuit to improve the lives of patients, students, medical professionals and educators around the world. 3D4Medical is headquartered in Dublin and has 75 employees.